We are a collaboration between a climate change student and an environmentalist who likes to build useful things. Together we have built various pedal powered contraptions like a cinema, sound system, our light bulb box which serves as a tool for energy generation and conservation education, 3 phone charging units. 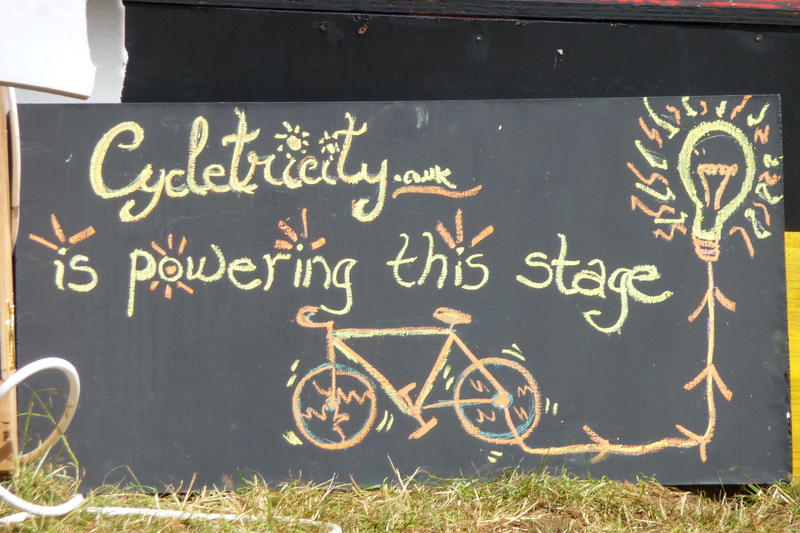 All of them are pedal powered, can be used off grid and are available for hire. 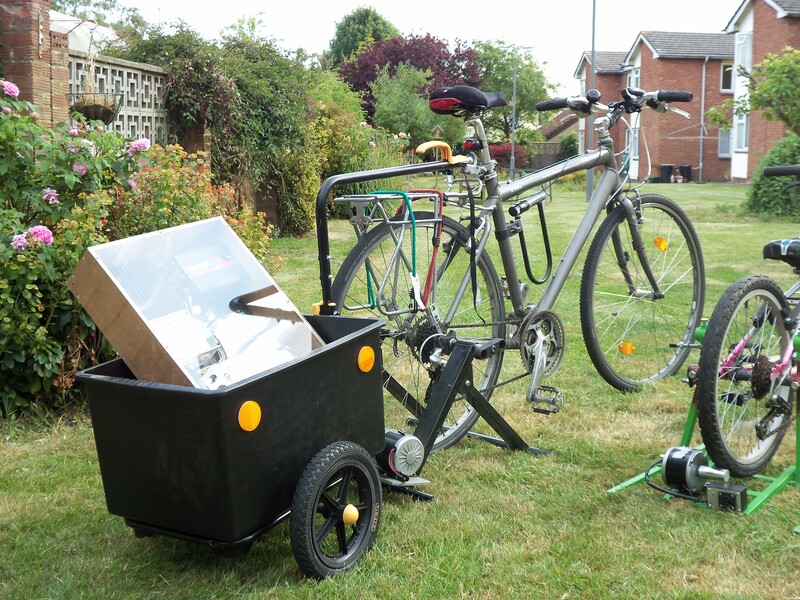 Our kit can fit on a bike trailer and cycle away. 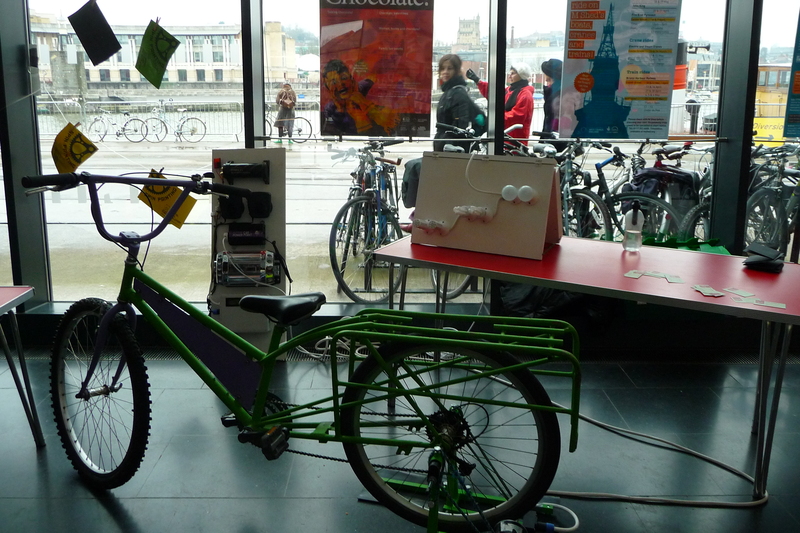 The “lightbox” traveled to the M Shed, challenging people to light it. We even had a LION powering the stage! It fits on a bike trailer!